The Year of Our Lord 2016 was a year of good news and the absence of any car accidents, major illnesses and physical assaults (except by a scrape from Strider cat on me). My daughter, Monica, and her husband, Tom, are happy in their home in the Southside of Chicago. My Cubs won the World Series. Uh-rah! 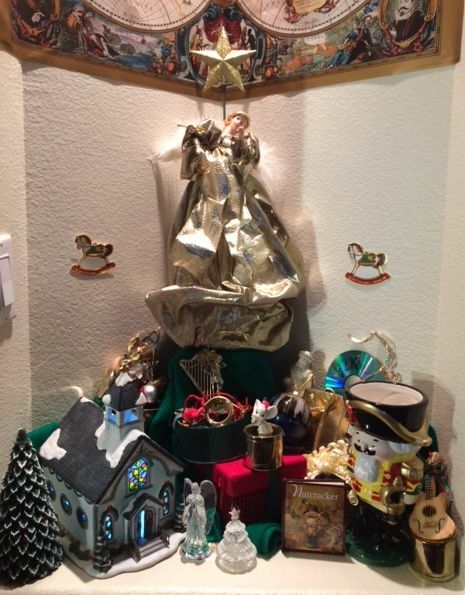 Our small indoor Christmas tree decorated with select memory ornaments from over 60 years of Diane’s collection. Arrow points to the Mercedes convertible – Nick chewed off the wheels when he was two. I’m still reviewing films for The Columbia River Reader every month. I really enjoyed David Mackenzie’s “Hell or High Water” with Jeff Bridges. Otherwise, films have been remarkably mediocre to bad, including “Rogue One” which looks like a collection of outtakes from the first “Star Wars” flick. I have a cpap machine, and except for muttering obscenities occasionally at 1:00, 2:00, 3:00 and other times in the morning, it has worked for me on most days. I have love in my heart for Diane and a card to Snap Fitness health club to keep it pumping away. Diane was laid-off in August due to insufficient work in the pipeline (not the first time in her career). So now she is looking for independent contracts or a new fulltime gig. I love having her at home, but cannot afford her travel plans unless she is able to help pay for them. The nicho by the entry transformed into a Christmas diarama. Our living room kiva fireplace inundated with Christmas decorations. 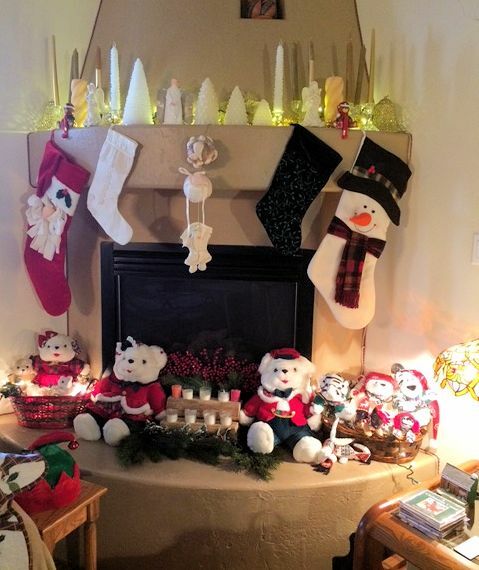 This entry was posted in photos and tagged Christmas, family, genealogy, photos, travel. Bookmark the permalink.